This article was originally published on July 2, 2010, in the Shenzhen Daily. 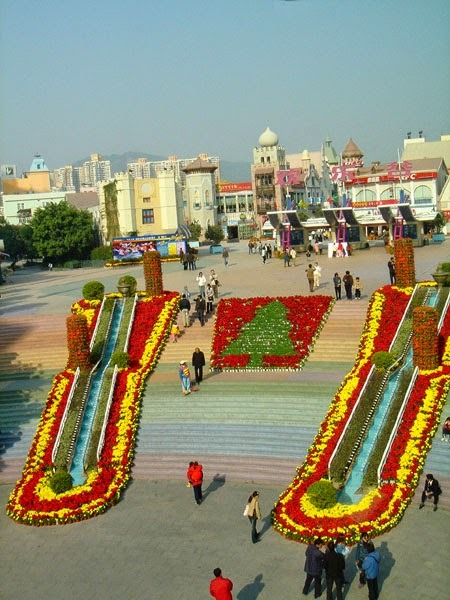 Everyone knows the "Big Three" theme park's in Shenzhen's Overseas Chinese Town (OCT). But have you ever noticed the thread that strings all of these pearls together? It's the 4.38km Swiss-made "Happy Line," the OCT monorail. To board, walk east on Shennan Thoroughfare from Windows of the World (Shijie Zhichuang Metro Station, Exit J). Walk past some interesting life-size bronze statues, and climb the stairs to board the monorail for 40rmb (20 for children). The ride will take around 25 minutes. While there are several stations at various places along the way, don't count on using the monorail for transportation, as it doesn't stop consistently at other stations due to closures. You won't see much inside Windows of the World, but you'll get plenty out of the unique bird's-eye view of the other two parks. 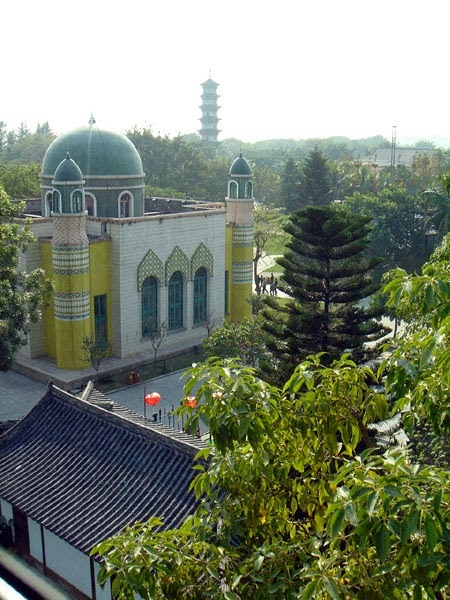 As you near the estuary of the Shenzhen River (don't miss those views!) 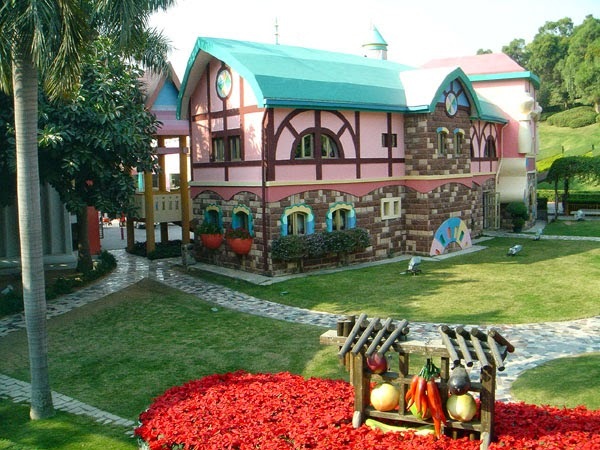 take a backstage look at the Folk Cultural Villages. If you're lucky, you'll see performers relaxing on the broad lawns, or horsemen practicing their routines. 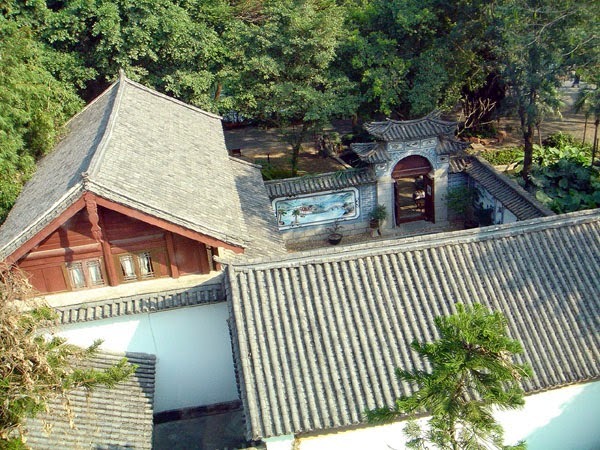 After looking at some of China's great monuments from an unusual perspective, cross Shennan northward, and enjoy views of the Huaxia Arts Center and Ecology Square before looking down into Happy Valley, especially the Cartoon City area. Then back, past the Crowne Plaza Hotel and across Shennan for a great shot of the front plaza area of Windows of the World, and back to your station. Notice: Go around as many times as you want. No one will kick you off!